I write historical novels set in New Zealand, starting in the 1880s. My sixth book, "After the Roses", takes the series to 1924. I'm fascinated by social history, particularly that of my own country. I was born in New Zealand, and apart from two years in England have lived here all my life. I'm married to my childhood sweetheart, who grew up in the farming valley that's the inspiration for my imaginary one. We have a few acres in the countryside, where we have an orchard and a large vegetable garden, and a small flock of sheep to keep the grass down. We make our own wine, cider, jams, jellies and sauces. To ask Shayne Parkinson questions, please sign up. When will the sequel to Daisy's War be ready? I'm so excited, as I enjoyed your others so much. Shayne Parkinson Hi Jo, great to hear that you're eager for the sequel! It's taking longer than I'd expected, partly because some of the research has meant a lot of…moreHi Jo, great to hear that you're eager for the sequel! It's taking longer than I'd expected, partly because some of the research has meant a lot of digging in various archives, not to mention several trips to Wellington to visit those archives! A lot of fun, but it can be very time-consuming. In late 1918, in the immediate wake of the Great War, an influenza pandemic was raging. During the two months of the pandemic New Zealand lost 9,000 people to the disease—this was equivalent to around half the number who had been lost in the whole course of the war. 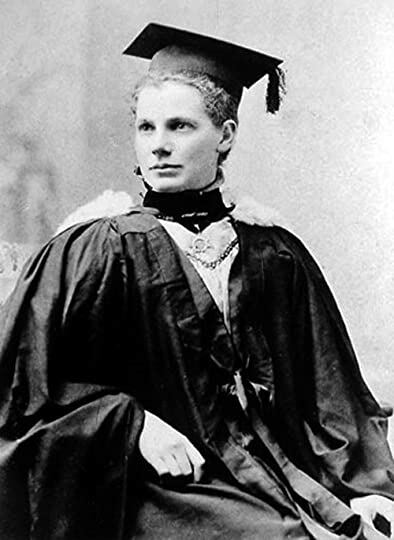 Among those who died was Margaret Cruickshank, New Zealand’s first registered woman doctor. Description: This is the only fan fiction story I've ever been inspired to write. It's my vision of the day Sam Gamgee must part with his beloved Rose. I'd love to have them available in audio form! Unfortunately the main outlet for producing audio books isn't available to New Zealand users. I'm hoping they'll expand their availability to include us some day. In the meantime, audio versions are definitely on my wish list. ...more "
We’d love your help. Let us know what’s wrong with this preview of Our Mutual Friend by Charles Dickens. We’d love your help. Let us know what’s wrong with this preview of Watership Down by Richard Adams. We’d love your help. Let us know what’s wrong with this preview of Artemis by Andy Weir. We’d love your help. Let us know what’s wrong with this preview of Doctor Who by Gareth Roberts. We’d love your help. Let us know what’s wrong with this preview of The Double Comfort Safari Club by Alexander McCall Smith. A place in the goodreads community for Nookboards members.